NOTE: Mounting and wiring the Bumper Switches will be easier if the V5 Battery Clips are empty because the battery has been removed. 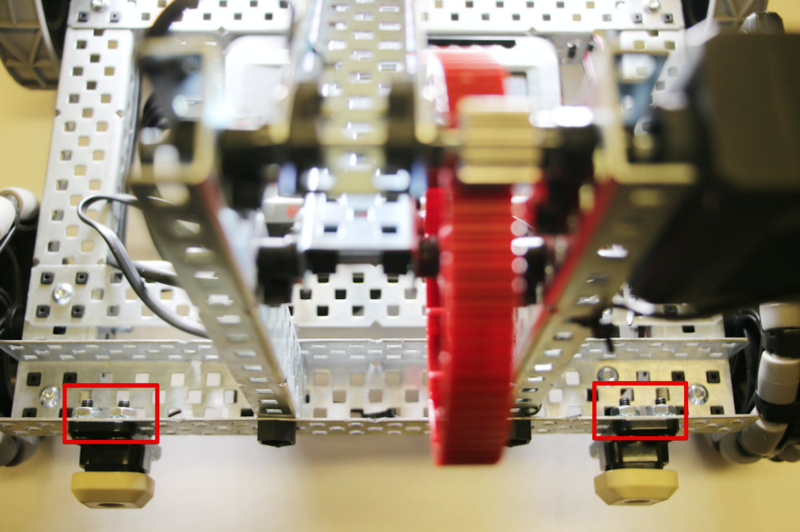 Place two screws into each Bumper Switch above the VEX logo. Position the two screws that hold each Bumper Switch in the third and fourth holes in from the ends of the backmost C-Channel beam. 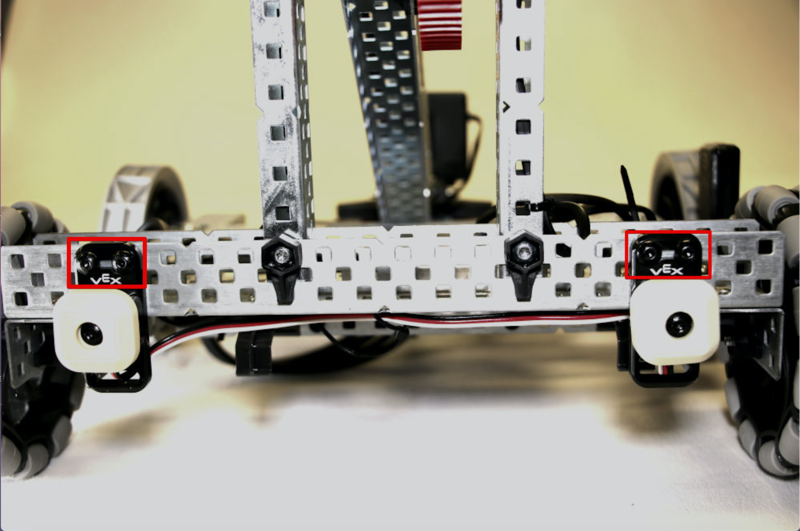 NOTE: The screws can also be positioned on both sides of the Bumper Switch for mounting with a different orientation or in other locations. 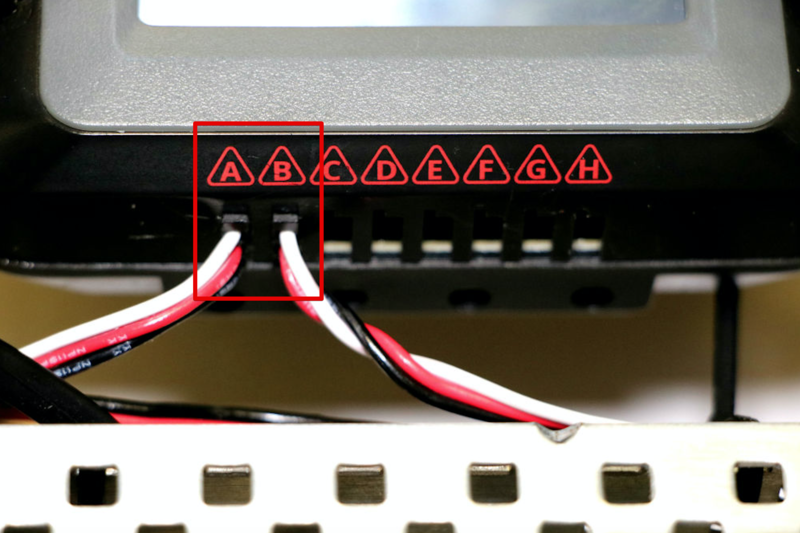 NOTE: The screws should not be too tight because the plastic of the Bumper Switch can crack. Lead the wire from left Bumper Switch next to the V5 Battery Clips. 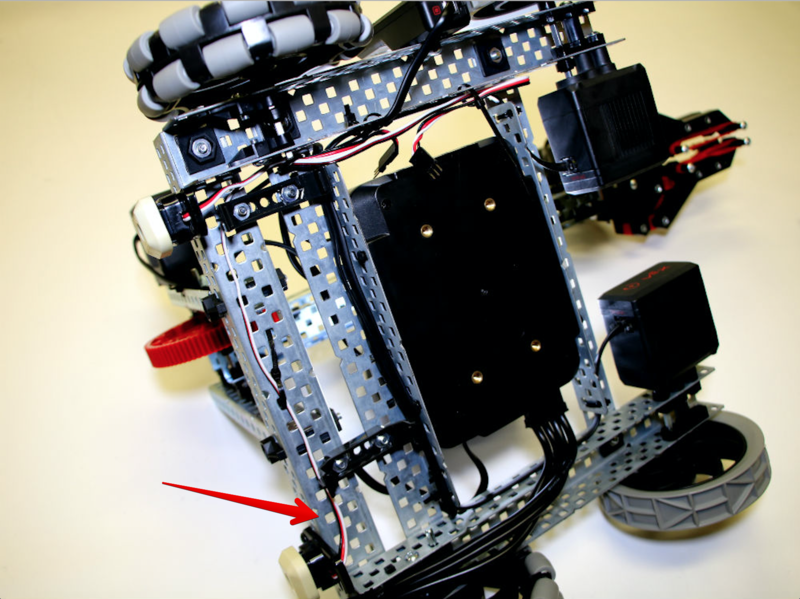 Lead the wire around the second battery clip on the side of the V5 Robot Brain with the Three Wire Ports. Do not feed the wire through the C-Channel beam where the wheel is mounted. Lead the wire from the right Bumper Switch directly back where the left Bumper Switch's wire is so that both connectors are on the side of the brain with the Three Wire Ports. NOTE: The Bumper Switch's wires can be positioned wherever is best as long as they do not drag or get caught during operation. Thread a Zip Tie around the left Bumper Switch's wire in a good place on the C-Channel beam so that it will be kept out of the way of the battery. 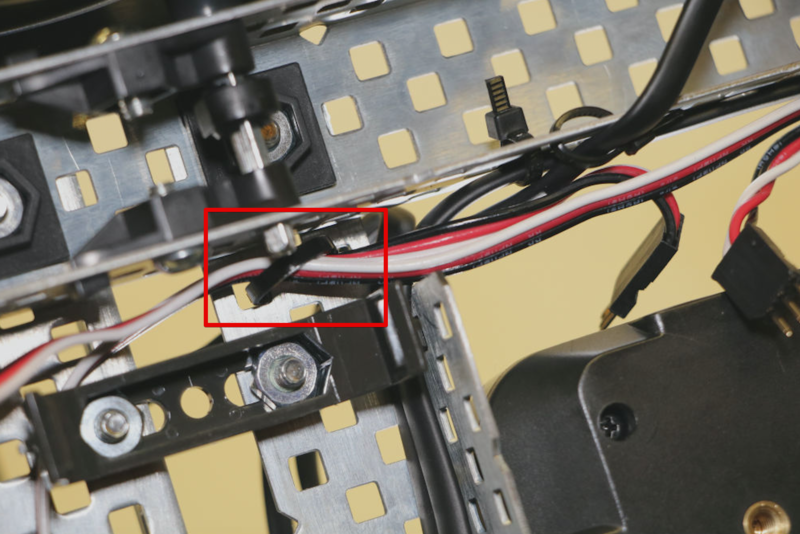 NOTE: Do not fully tighten the Zip Tie until the wires have been connected to the brain. 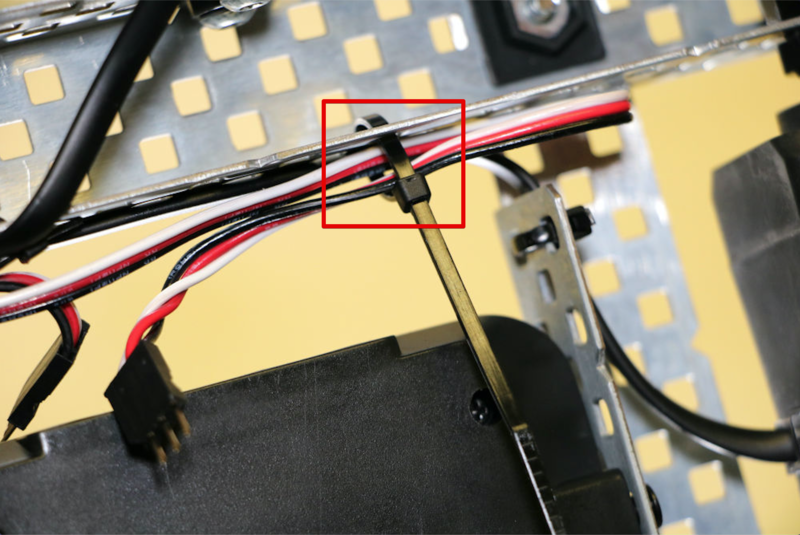 Thread a second Zip Tie around both the left and right Bumper Switches' wires in a good place above the battery clip so that they do not hang down or get in the way of other components. Lead the right Bumper Switch's wire along the C-Channel beam and beyond the brain, and then back toward the Three Wire Ports. 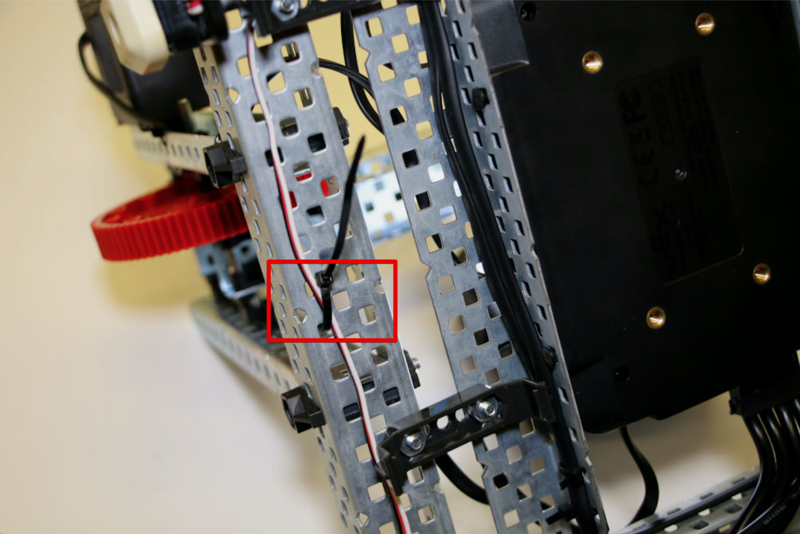 Thread the last Zip Tie around the doubled wire and through the C-Channel beam so that it can be kept out of the way of other components. Connect the left Bumper Switch's wire to Port A and the right Bumper Switch's wire to Port B. Tighten the Zip Ties fully so that they are secure and then cut off the excess plastic. 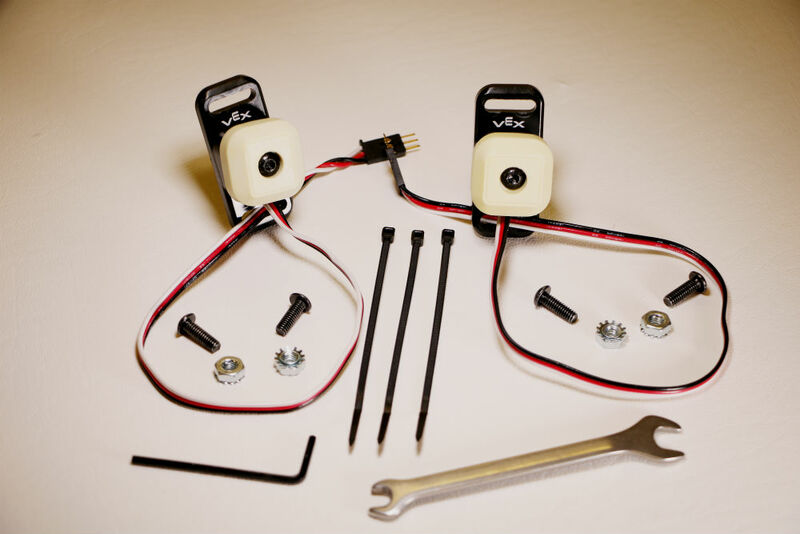 Replace the V5 Battery into its clips and reconnect the battery to the brain. NOTE: A label (tape, stickers, etc.) can be used on a sensor, or any wired component, to note the port to which it is connected.